Domino’s is a pizza restaurant chain who is considered a pioneer inthe pizza delivery business. Although theynow have a wide selection of food items on their menu like pasta, sandwiches, chicken side dishes, breadsticks and bread bowls, still the most popular is pizza. Their pizza offerings includetraditional, specialty and custom which areoffered in a wide range of toppings and crust style. Domino’s started out as a small pizza store in Ypsilanti, Michigan in 1960 and has since then evolved to be a leader in pizza delivery worldwide. To date, there are over 13,200 Domino’s stores in which more than 5,000 are outside the United States. Domino’s has embarked on a mission to be the number one pizza delivery company in the world. It existssolely to fulfill a basic need for its customers, which is toprovide high quality and freshlyprepared, hot meals that is delivered on time, every time. Guided by their mission and with the understanding of the need to be able to provide quality and fresh meals to large groups in variousevents and functions,Domino’s then offered its catering services. Domino’s catering services offers a wide array of optionsfor delicious foods. Aside from pizza, its catering menu includes five selections of tasty pasta, and customizable oven baked sandwiches.Also available are selections of chicken wings, breads, salads and dessert. If you choose the food to be packed individually, Domino’s offer boxed lunch which includes your choice of one sandwich, a bag of chips and a cookie. The options can be mixed and matched to your preference and each box will come clearly labelled for easy identification andconvenience. Domino’s follows a triple check process for every catered order it receives to ensure each order arrives correct and on time all the time. To place your order for catering of your next event, call the nearestbranch ofDomino’s in your area where a manager on duty is ready to assist you. Placing an order 24 hours in advance is recommended to ensure quality and freshness of food to be delivered,but many Domino’s branches can provide same day catering service. 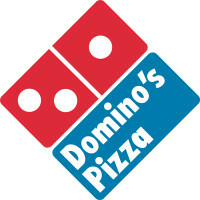 Domino’s also has an online tool that offers ease and a cost-effective way to make a bulk order for your catering needs. The tool lets you specify the number of people in your event and recommends packages based on various price points, this brings convenience for people who want to get the most out of their money and do not want leftovers. If you’re planning an event, but is on a tight budget yet would still like to provide quality food to your guests, pizza is a great option to be served. Domino’s catering services with its range of pizza choices and wide options on its catering menu is worth considering since it is where quality and affordability is stressed. You can then be sure that your guests will have delicious food at your event less the stress on your part.